Kerry Lutz has been a student of Austrian Economics since 1977. While attending university, he stumbled upon an extensive cache of Austrian School literature in a dark, musty, abandoned section of the library. Since then, Kerry has interviewed hundreds of financial luminaries. Suffice it to say he has a decent grasp of monetary theory, business cycles, and the like. Kerry recently had me back as a guest on his Financial Survival Network radio show, where our conversation covered pressing topics including precious metals, central bank money printing, the Chinese economy, hyperinflation and the role of cryptocurrency post-collapse. One thing we definitely agree on is that inflation will eventually run rampant. To thrive in the New Economy, you’ll need to be aware of the best strategies for diversifying, paying less tax, and creating more wealth in 2019 and beyond. Fortunately, you have the opportunity to uncover this knowledge from the world’s top financial experts without investing thousands of dollars, taking time off, or traveling hundreds of miles (like many people gladly did). Learn exactly what Ed Bugos, G. Edward Griffin, and David Morgan, are doing to earn profits. Find out how Charlie Robinson, Dominic Frisby, and Francis Hunt keep their revenue growing. Discover why Tim Picciott, Peter Sage, and more leading professionals are crushing it. At the end of the day, there’s no benefit in worrying, and nothing to gain from fear. When each of us work on ourselves and our individual priorities, our families and communities benefit, as does society at large. Life Unchained does not look the same for everyone. What does freedom mean to you? Get access to TDV’s game-changing Virtual Summit HERE. 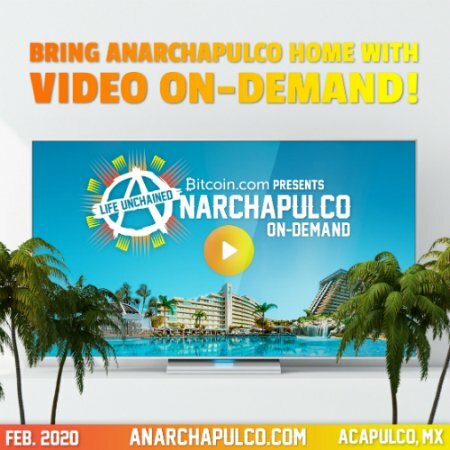 Enjoy the Anarchapulco 2019 presentations HERE.